The British luxury manufacturer teases with a look at the upcoming coupe's interiors. The Range Rover has been established as the ultimate in luxury off-roaders for so long now, a lot of people may not even be aware that it originally started off life back in 1970 as a two-door SUV. In fact, it wasn't until the early 1980s that a four-door version was introduced, but it quickly became the most popular version and the two-door format was eventually discontinued. As a celebration of Land Rover's 70th anniversary, the Range Rover SV Coupé returns to the two-door format, but don't expect this to be a permanent addition to the Range Rover family as it's going to be a limited run of 999 units worldwide. Every one of them will be hand-assembled by Land Rover's Special Vehicle Operations in Warwickshire, UK. And the first reveal of what's sure to be a very sought-after model will be on March 6 at the Geneva International Motor Show as part of the Jaguar Land Rover press conference at 11:45 CET. 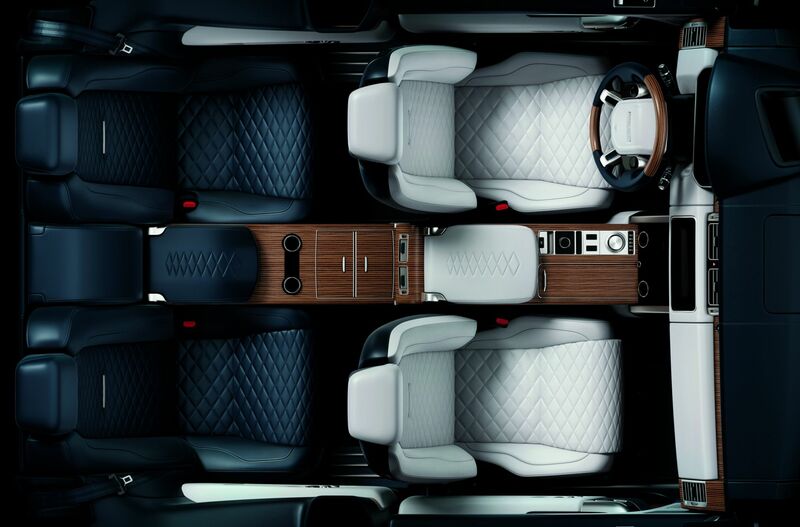 Land Rover's Chief Design Officer, Gerry McGovern, said of the new model, "The Range Rover SV Coupé is a highly compelling design with peerless refinement and uncompromised sophistication from its breathtaking exterior proportions to its sumptuous, beautifully appointed, interior. This is a vehicle that will resonate on an emotional level." From the front seats forward, the SV Coupé looks a lot like the current four-door Range Rover, but with the Velar's new infotainment screen. The back seats look to be the same as the front but still with plenty of legroom, although they are finished in a contrasting blue color.